Although many other people were strongly considered for The Revolutionary Paideia 2011 Person of the Year, Drake was finally selected. With Drake’s recent impressive sales on his sophomore rap album, Take Care, he deserves to be recognized as The Revolutionary Paideia December 2011 Person of the Month. Drake embodies the “unsettling, unnerving, and unhousing” spirit that found this site. Drake is a rapper who does not try to fit the traditional rap mold. He doesn’t try to be a gangsta rapper or act all “hard” just to appease those who expect all men, including male rappers, to be hypermasculine. You won’t find Drake talking about gangbanging and dope dealing in his art. What you will hear, however, is a truly one of a kind rapper who is not afraid to challenge the status quo in rap music and in Hip-Hop in general. Take Care sold over 630,000 copies in the first week it was released (Take Care’s First Week Sells). The early success of the album is evidence of Drake’s serious commitment to continuing to ameliorate his craft. Drake is simply not another rapper and Hip-Hop artist—he’s a talent reconceptualizing the way we think about rap music, Hip-Hop, masculinity, success, and much more. If you’re looking for a positive example in rap music and Hip-Hop, Drake is one of the best examples of rap music and Hip-Hop at their best. Because Drake has elected to not be a gangsta rapper and be “hard,” he has come under attack from many people. Even someone who I deeply admire, Dr. Marc Lamont Hill, expressed that he hates Drake. For someone who does not know him personally, that’s certainly too strong of an emotion to have. Those who claim to be “thugs” find Drake to be too “soft” to be considered a real rapper, and they argue that he is more of a pop singer than a rapper because he sings on some of his rap songs. Why hate on this man’s ability to sing? So do you have to be a “thug” to be a real rapper? Do you have to be gangsta rapper to be a true rapper? Do you have to have been in jail, sell and use dope, grew up poor, and have lyrics permeated with violence to be a real rapper? The answer to the three aforementioned questions is no. Getting that answer across to many people is a difficult task, however. 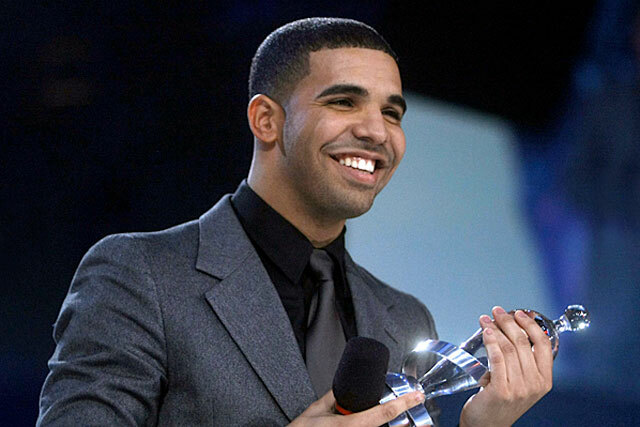 It is with great pleasure that I name Drake The Revolutionary Paideia 2011 Person of the Year and The Revolutionary Paideia December 2011 Person of the Month. With so many unsubstantiated attacks on Drake that one can find on the internet, including Twitter and Facebook, it is my hope that this piece will offer a refreshing and positive look into one of the greatest rappers, artists, and Hip-Hop figures to ever live. These awards given by Revolutionary Paideia are small tokens of love and appreciation for this great man and artist. Continue to do spectacular things and continue to be who you really are. Congrats, Drake! Great choice…Drake dared to be different and did just that…and he made it!!! Thanks, Sunny! Drake is a great artist and I’m such a fan of his work. to anyone who claims that a rap song is “less of a rap song” because there is singing included, I point to any song that Nate Dogg sung in, which were some of the Dogg Pound’s biggest hits. sounds like some hater-ism to me. I’m glad Drake has the conviction to forge ahead in his style of rap…it’s overdue! I agree very much with you! Great point in reference to Nate Dog. Thanks for reading and your excellent response. Drake def. does not get a lot of attention he deserves. He’s selling and working, so I guess the jokes just keep him paid. Yes, he keeps getting paid and their jokes keep them broke. What’s funny to me is the Drake haters are the first ones to buy his work to offer their “critiques.” Therefore, I really have to question whether they really dislike Drake and his music. SUBMIME! C’mon, Maurice you could not find anybody more honorable to mention and close 2011?! Drake is the death of me and my afro! Urrrrgh! Hate who he has become! I was a fan of his before he started talking gangsta! Another great post, and I will be the first to say I was never a fan of Drake. Listening to this album, he presented something different and I enjoyed it. I’m a harsh critic of hip hop (80’s baby syndrome) and I gave him credit because he deserved it. I also notice a lot of the fellas trashed him for this one. I think his race also plays a part of the reason why he is criticize. LL Cool J, Heavy D and other artist have rhymed about love and was never given the soft label. I believe since he is of mix race, he receives the soft label which is unfair. A lot of women enjoy his work, and that is a huge plus for him. Money in the bank, let haters keep hating on. Yes, I’m currently writing a piece for another site that speaks about his racial composition as being one of the chief reasons why they consider him to be “soft.” Additionally, color-consciousness is significantly important in the rap industry when one is attempting present himself as being “hard” because if you’re not dark-skinned it is very difficult to be considered “hard” in the rap industry. Thanks very much for reading and your feedback. Thanks! I do too. I appreciate you for reading and your response. Yes, he certainly is the best!